The apartment has three studios each with a double bedroom, bathroom and kitchen with large terrace overlooking the sea. For families there is a large outdoor kitchen and more independent. The rooms are double rooms with possibility of adding a third bed. Ischia Sofia and a short walk from the village, the sea and from the spa. Sant'Angelo is an ideal place for a relaxing holiday, a village surrounded by nature, easily accessible from Ischia Porto, where land and hydrofoil ferries, car, taxi or bus. Each studio has a bedroom, kitchenette, bathroom and terrace overlooking the sea. € 25,00 - € 30,00 p.p.p.n. No experiences yet with Sofia ad Ischia. Be the first! Did you stay in Sofia ad Ischia? Let us know what you thought about it and help others to make the right choice! * I confirm having stayed in Sofia ad Ischia. 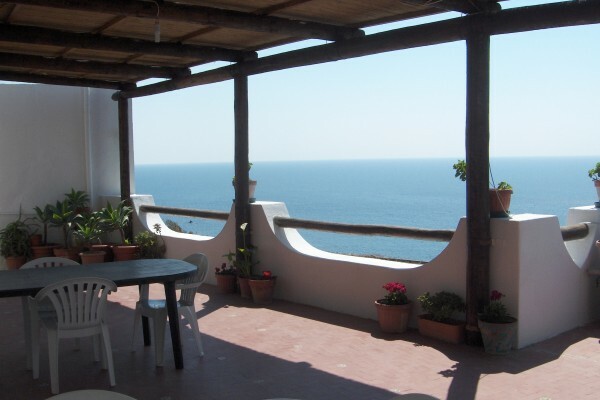 Find other bed & breakfasts in Sant'Angelo or all bed & breakfasts in Campania (Naples).